Apr 08, 2016 Those that have issues with Omega XL are welcome to contact the service professionals in our Customer Advocacy Group at 1-800-6070419 or via email at cagsupport@greathealthworks.com. These companies, such as Omega XL, who make it impossible to get the refunds they guarantee should be stopped. One way to start to force them to do what they said they would do is to flood their social media sites. Most companies have several social media sites. 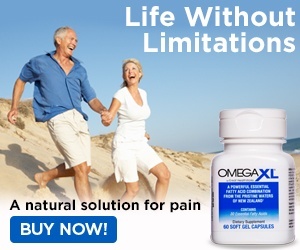 For example, go to Omega XL's Facebook page and write your experience. If they don't allow you to post on their wall, write your experience in their comments section. Maybe even write it in the comments in several of their posts. You may find that they will contact you to try to resolve your issue. Review #487087 is a subjective opinion of User487087. If it is so good why wouldn't they sell it in a well known store? They would make more money that way but no they must have something you get hooked on in it so that you have to have it. FDA would stop the product if it was put in a regular store I bet.